It’s been 3.5 years since I’ve posted on CompareRewards.com. 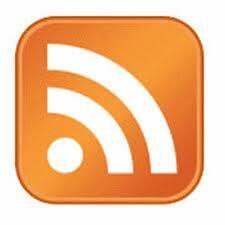 If you’re reading this, chances are, you subscribed to my email alerts for new posts sometime prior to 2015. (Thank you for doing that, btw. It means a lot that you value my content enough to want to stay in touch.) Since then, a lot has changed in my private life, and the website just wasn’t a priority. But something happened last week that was so exciting, I decided to come out of retirement to post about it here and help get the word out. Look familiar? My long-time readers will recall my numerous posts about the Jellyfish.com cashback shopping site. I was one of the first bloggers to review Jellyfish.com when they went live in July of 2006. I sang the praises of their live reverse auction called Smack Shopping. I bemoaned its sad demise when Microsoft bought Jellyfish.com, and when the rebranded Bing Cashback was closed. I also posted about Alice.com, the next project of Jellyfish’s Brian Wiegand and Mark McGuire. Some call them “serial entrepreneurs.” I call them visionaries with the Midas touch. A decade after Microsoft’s purchase of Jellyfish, Brian and Mark purchased another rather odd domain: Gravy.com. They opened their site “in stealth mode,” developing a live chat area for popular bloggers to host while selling items. It had some elements of the Smack Shopping experience that Jellyfish members were so addicted to, but it didn’t quite hit the mark. 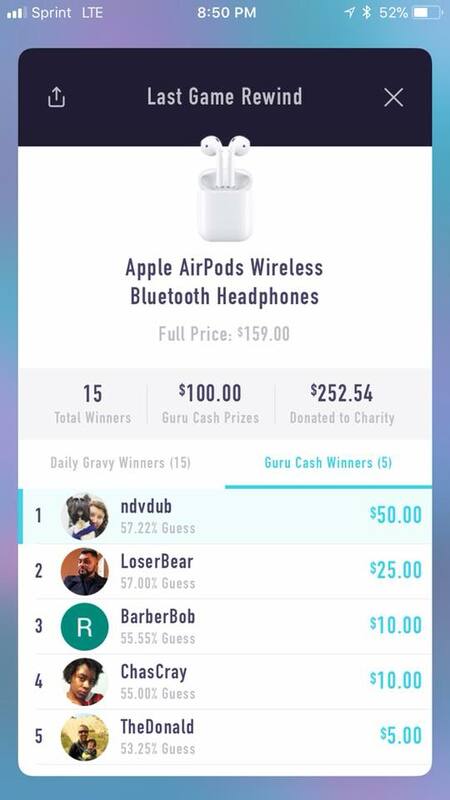 On March 8th, Gravy debuted an iOS app called Gravy – Live Shopping Game which much more closely approximates Jellyfish Smack Shopping’s exciting and addictive reverse auction, all the way down to Guru Guessing (being able to earn a cash reward for being the closest, without going over, to guessing the best discount a shopper will receive before the item sells out). At 8:30pm ET daily except Saturdays, the app switches from a plaid background to a chat room with a live host (shout-out to the Bowtie Man himself, JOE!). So you really have two major activities going on — the opportunity to buy a product unveiled about a minute before it goes on sale and the price starts to drop, not knowing how many are available to buy and having to decide how quickly you want to jump on the deal… and the opportunity to win a cash prize of up to $50 for guessing the amount of the discount when the item sells out. You can participate in either…or both! 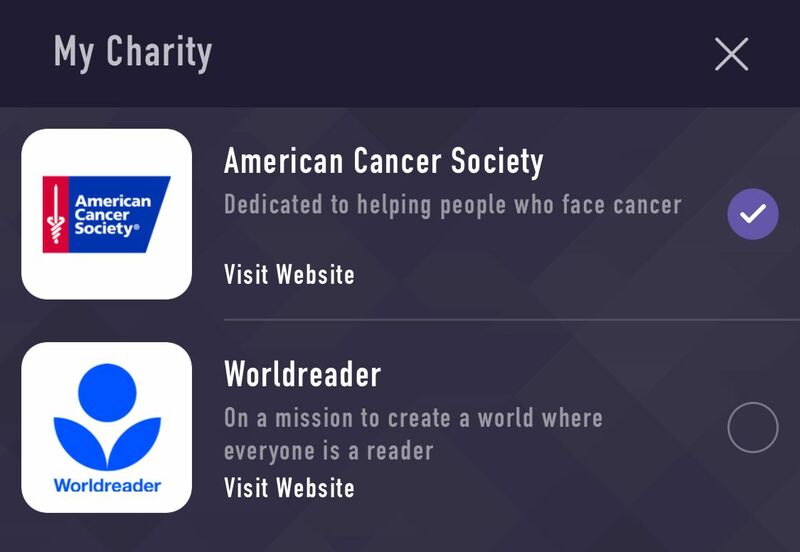 Gravy even has a charity component, where a percentage of the sale price of what the items eventually sell for is donated to a charity of the buyer’s choice. So far, the items “dropped” on Gravy included Apple AirPods, Amazon Echo Dots, PlayStation Fours, fingerprint-ID combination style locks, Keurigs, and a DJI Mavic Air drone. 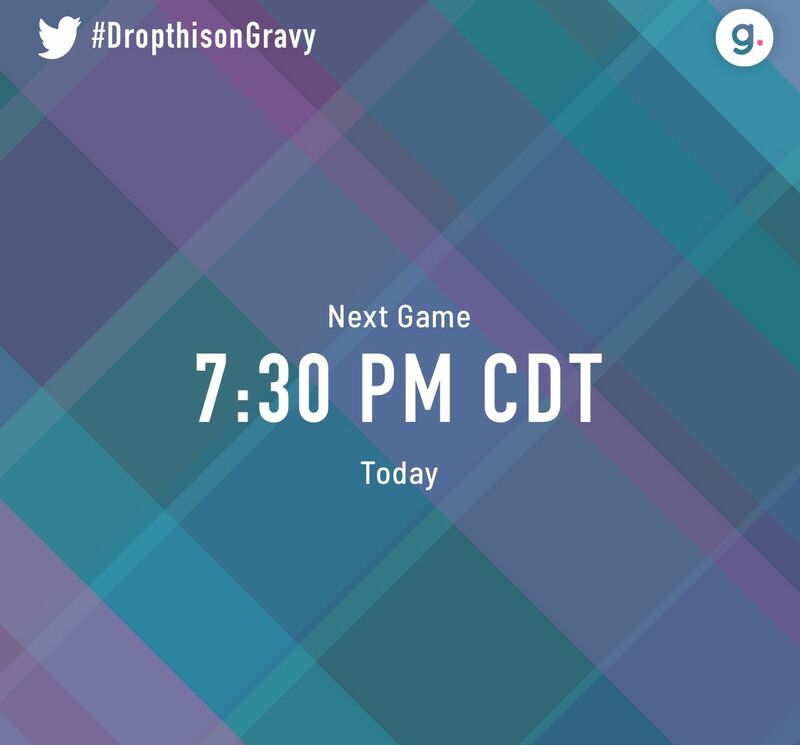 Gravy is allowing members to nominate an item to be featured on their Sunday show by tweeting #dropthisongravy on Twitter, including the item and why you’d like to see it featured. If your item is chosen, you’ll get that item FREE! You never know in advance what the product will be or how many will be available to buy. Are they just selling one item tonight? Or are they selling a dozen? Once the game begins, you can see the price dropping and it’s up to you to decide if you want to buy or wait and see if you can get a better deal before someone else buys the last one. 2. Create an account, selecting your username. That’s the name that will show up on the leaderboard if you buy an item, and it’s the name you’ll use if decide to use the chat area during the game. You’ll have an option to receive a text before the game goes live. You should definitely say yes to this so you don’t miss a game! 3. Enter in your payment information. While you don’t have to do this in advance, because time is of the essence when you’re ready to buy, I highly recommend that you go ahead and put your credit card information in ahead of time! I did! 4. Wait for the show! You can start checking the app around 7:29 if you didn’t sign up for text notifications. When it’s live, you’ll see a button to click to enter the game. It takes a few minutes before they “drop” the item up for sale and the reverse auction begins! Be ready to hit the Buy button when the price is right for you! If you love deal-hunting, the idea of participating in a live interactive game show, and the potential to win real cash prizes, you are going to love the Gravy – Live Shopping Game! Its founders have a history of creating amazing shopping sites. The game is frenzied and addictive, and it is six. Nights. A week. Forget about whatever comes on TV at 7:30, y’all, you aren’t going to be watching it anymore. Thanks for reading, and if you decide to give it a try, be sure to go into the chat box and type, “Hi, CompareRewards!” and I’ll give you a warm welcome for joining us! Cyber Monday’s here once again, and if you’re reading this, you’re asking yourself, who offers the best cashback rates? This year the nod once again goes to Ebates, for their amazing one-day-only double cashback event! They’re the go-to place for Cyber Monday cashback shopping once again. Great job, Ebates! Many savvy shoppers love to shop at Amazon during the Christmas / holiday shopping season because of free super-saver shipping (or free two-day shipping for Amazon Prime members). According to Kiplinger Personal Finance, Amazon underprices Walmart on several of the popular gift categories including video games and toys. Getting a good price with free shipping is of course, much appreciated by frugalistas like me, but you can go one better when you earn cash back for shopping at Amazon! Where’s the BEST place to get Amazon cashback? No matter which rewards program you decide to use when you shop at Amazon, any cashback is always better than NO cashback! Choose a rewards program that fits well with the amount of shopping you do (their minimum to cash out), the types of rewards you can choose (if you’d prefer a check or if PayPal is okay), and your preference for the overall look and feel of the site! Keep in mind that these categories and rates change often, so this is just meant as a snapshot as of this posting, and a guideline of what to expect at the different programs. Enjoy your holiday shopping with a little extra cashback from Amazon! Plink has shut down, according to an email to members tonight. It cites an inability to acquire funding as the cause. I think one of the things that held this program back was its requirement that members give the company their login and password to the bank where their credit or debit card was issued, in order to receive points for shopping at one of their participating merchants. The program was legitimate, it’s been around since January 2012 and had a great pedigree, founded by some of the staff of Memolink, which is an old-timer in the online rewards program space. I know that I was personally paid, and quickly, each time I cashed out. But convincing people to trust Plink with their credit/debit card login and password was something that I know MY readers and commenters here to my original Plink review had a difficult problem with. What I liked was that they intended to push text offers to users of their cellphone app when they were in the area of a participating Plink merchant. I thought that was a fantastic idea (though it can be overdone — Shopkick’s push notifications whenever you’re near a Best Buy or Target can be pretty annoying). Always sad to see a rewards program close, particularly one that had so much promise. RIP, Plink. Ebates has been sold to Tokyo-based Rakuten for one billion dollars in cash, according to a press release today. This is a very interesting development, as Rakuten also owns LinkShare, which is an affiliate network. Affiliate networks, like LinkShare and Commission Junction, act as intermediaries connecting merchants (like Barnes and Noble and Macy’s) with websites (like Ebates, MrRebates, or your favorite blog or website) for the purpose of advertising. 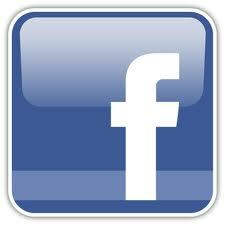 If one of those website’s users clicks on the ad and makes a purchase, the website earns a sales commission. Your favorite blogger would keep that commission. 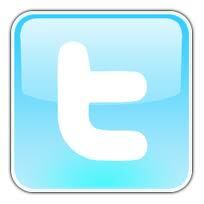 That’s how he monetizes his time in writing up awesome blog posts and sharing sales with you. The purchase of Ebates by Rakuten is interesting, because now, that portion that Ebates would keep for themselves, is eliminated. They’ve cut out the middleman. Ebates is the biggest US cashback site (at least according to the press release, citing $2.2B in member purchases made through Ebates in 2013). Theoretically, Ebates could offer higher cashback rates for Linkshare merchants now. And now Rakuten, as the owner of a “super-affiliate,” now has a very nice bargaining chip to try to woo away merchants who currently do business with Commission Junction, to c’mon over to LinkShare instead. This also gives Ebates the moolah to further expand into other markets outside of the US. Congrats to Kevin Johnson and the whole Ebates team! If you’re just hearing about Ebates from their segment on The Talk, and you’re wondering, is Ebates really legit? YES. You can read my Ebates review here, or go ahead and join Ebates here. 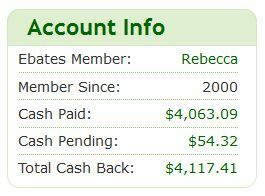 I’ve been a member of Ebates since 2000 and have earned over $4,000. They do pay, they have great cashback rates, and they will send you a Big Fat Check (or PayPal deposit, or Amazon gift card) each quarter your cashback earnings are over $5. They offer coupon codes to help drop your out of pocket costs when you shop, and they share info on sales in emails and on their blog. They have frequent increased cashback special offers and they also have two increased cashback merchants of the day (one you’ll find on their website and the other on their Facebook page). If you’re shopping for Back to School, Ebates is a great cashback site to use! But don’t take my word for it — see for yourself when you join Ebates here!